Why don't you use a real database like MySQL? Part of the reason I started Tellico was to learn C++. I didn't know SQL at the time, and at the moment, I only have a faint knowledge of how to use it. Simply put, Tellico didn't start out as a relational database, and that won't change until sometime in the future when I get around to learning SQL and have the time and motivation to change the data model. If that bothers you, well, don't use Tellico then. Of course, anyone is welcome to make any changes they want to with the source code. 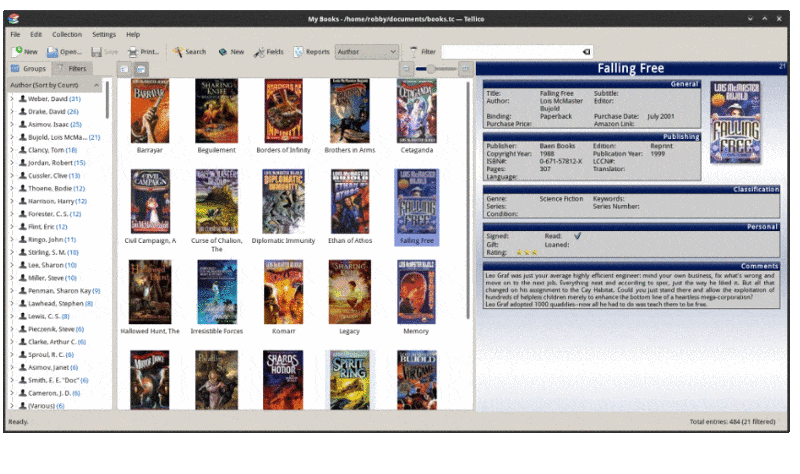 How do I enter multiple authors?